Running Shoes or Cross Trainers? Choose the best shoe for the workout to avoid injury. It’s not uncommon for people that I train to complain of back and leg pain at some point in time. I’m not talking about the muscle soreness that comes with hard workouts, but rather strains, sprains, tears, and even fractures that can occur from working out or running. These issues can occur from wearing the wrong shoe for the type of workout. Whatever shoes you end up purchasing, you’ll most likely need an effective Shoe cleaner so that your brand new kicks don’t start picking up unwanted dirt. Since starting on my fitness journey in March of 2010, I’ve had my share of back and leg issues, too, including lower back strain, shin splints, sore knees, twisted ankles, and even a stress fracture to my right tibia. These issues may be related and could partially result from, as mine did, not wearing the proper shoes for the types of workouts I was doing. Shoes aren’t always the culprit, but can be a major contributing factor to pain and injury. When I initially started running distances longer than one mile, I was wearing cheap Nike running shoes I’d purchased at Kohl’s for about $40. I fitted them myself and now know that they were too tight. I checked out others shoes, for example, something like Vessi waterproof sneakers but I then decided to plunk down some serious money and bought new running shoes from Blue Mile, a store that specializes in running shoes. They videotaped my gate while I ran on a treadmill and fitted me with the proper shoe based on their observation and analysis. Unfortunately, they felt so good that I started wearing my new running shoes for all of my workouts that included weight lifting, spinning, plyometrics, and aerobic/agility drills. It wasn’t long before I started having back issues and some joint pain in my knees and ankles. So, I bought a pair of Asics cross trainers. They had a lot of support and were very comfortable, so I started wearing them for my workouts AND my runs. While my back pain subsided, I started having hip pain, sore knees and shins, and eventually developed a tibial stress fracture because the cross trainers are not meant for long distance runs. They were heavy and did not absorb the shock on hard concrete or asphalt surfaces. Vibram FiveFingers Barefoot Shoes look funky, but are very comfortable. Today, I have three or four different shoes that I wear depending on my workout. I did purchase a pair of Vibram (pron. Vee-bruhm) FiveFinger workout shoes, which are kind of like toe socks but made for working out and running. They give you a natural, barefoot feel but help your feet move naturally and improve stability and mobility while strengthening the foot. Below is the difference between a running shoe and a cross trainer. I recommend cross trainers for almost all FitCamp workouts unless we are doing a long run on certain days. During usual training sessions, there are repeated movements to condition the legs. Trainings like kickboxing, weight lifting and aerobics, among others, all require the right shoes to do the trick. These physical activities require lateral movements of the legs, and so, training shoes are just the right footwear to be used. They are designed with additional support at the sides for better lateral movements of the feet. In addition, they have lighter treads that will also do for short walking or warm-up cardio running. Running shoes are lightweight footwear purely designed for prolonged or regular running. They can provide more cushioning and flexibility to the foot during running events as opposed to regular training shoes. This cushioning aids in shock absorption, especially during impact against the ground. Running shoes are designed for forward movements. They have thicker heels and are more flexible at the toe region. Its soles are arched giving an upward curve to the shoe tip. Moreover, running shoes often have intricate treads that help with moving or running forward. With this design, energy is properly channeled from the legs of the runner to his feet, and towards the running aisle. If you are having foot, leg or back pain, I highly recommend checking with your doctor or a specialist. But, the solution may be as simple as wearing the proper shoes for the task at hand. 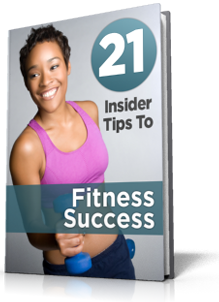 This entry was posted in Injuries and Conditions, Product Reviews, Uncategorized, Workouts. Bookmark the permalink.